Marshall is proud to present the AFD100 Slash Signature amplifier: a dual mode, all-valve 100. head that captures the tone and spirit of one of rock’s most celebrated and sought after sounds – Slash’s guitar tone on Guns ‘N’ Roses legendary, “Appetite for Destruction” (AFD). Released in 1987, this highly influential has sold in excess of 18 million copies worldwide and is the best selling debut album of all time. *NOTE: A two-way, LED Footcontroller (PEDL-00054) comes supplied with the AFD100, facilitating switching between the #34 & AFD modes, plus FX Loop on/off. To commemorate the 23 years that have passed since the recording of “Appetite for Destruction”, the AFD100 is Limited to 2300 units worldwide, 500 in the US. Retail price is $2899 (but can be had for much cheaper – surf the online stores below to find better deals). Slash is widely considered one of the greatest rock guitar players of all time. He has received countless accolades and awards including a 2007 star on the Hollywood Walk of Fame alongside his idols Jimmy Page and Jimi Hendrix. 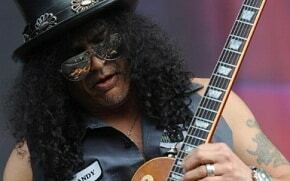 An original member of iconic rock band Guns N’ Roses, Slash helped the band create signature sounds like the guitar riff of #1 hit “Sweet Child o’ Mine” and “Welcome To The Jungle.” The band dominated the 1980’s and 90’s music scene selling more than 100 million albums worldwide and ushered in a decade of hard charging rock music. 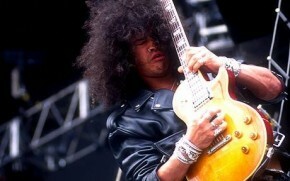 After leaving the band, Slash went on to critical acclaim in his personal project Slash’s Snakepit, and global success with supergroup Velvet Revolver. Slash has been widely sought after by the biggest musicians of all time, performing with everyone from Michael Jackson to Stevie Wonder to Ray Charles. Slash is one of the marquee playable characters in Guitar Hero III, has two signature Gibson guitars in his name, and authored his own top-selling biography Slash in 2007. Slash recently landed on the top of the charts with his first true solo album, SLASH, which debuted as #1 Rock Album and #3 overall on Billboard’s coveted Top 200 charts, in addition to going #1 in more than 13 countries. The album features an all-star roster of guest musicians including Ian Astbury, Chris Cornell, Rocco DeLuca, Fergie, Dave Grohl, Myles Kennedy, Kid Rock, Lemmy Kilmister, Adam Levine of Maroon 5, Duff McKagan, M. Shadows of Avenged Sevenfold, Ozzy Osbourne, Iggy Pop, and Andrew Stockdale of Wolfmother. In addition to a long career filled with prestigious awards and accolades, Slash was recently honored by the Hollywood Chamber of Commerce who named him as an official selection for 2011 to receive a star on Hollywood’s iconic Walk of Fame. A date for the ceremony has yet to be determined. See the Marshall Randy Rhoads JCM800 1959RR Guitar Amplifier. Vintage V100AFD Paradise Les Paul Guitar – Would Slash Play It? 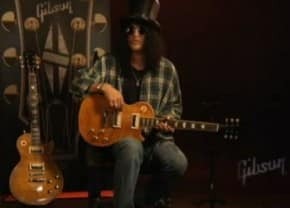 Eternally top-hatted former Guns N’ Roses guitarist Slash is one of the most iconic guitarists of our time and, in some circles, is considered one of the last true guitar heroes. When he burst onto the rock scene in the 80’s, Slash immediately became a poster boy for Gibson guitars and the Les Paul model, as much of the world was playing then-current super strat-type axes like Kramers, Charvels, and the like.